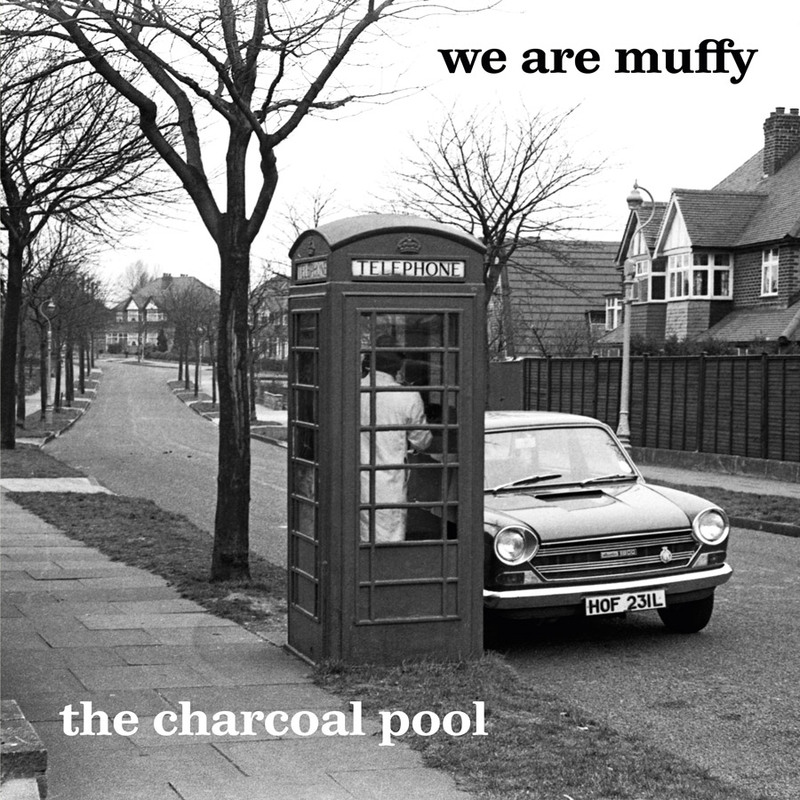 Dum canto bastante remoto de Cornwall, Inglaterra, nascem os sons acústicos idiossincráticos de We Are Muffy, a aliança feliz de Nick Duffy (The Lilac Time, Bait) e Angeline Morrison (The Mighty Sceptres, The Ambassadors of Sorrow), que edita agora um novo álbum. Gravado no estúdio-jardim de Nick – em tempos uma garagem suburbana, agora inacessível a veículos a motor devido à invasão de folhas – “The Charcoal Pool” está repleto com os sons do bairro. Corvos, robins e gaivotas, assim como a chuva nas clarabóias e os comboios que passam ali perto. Nick’s dad worked in the Civil Service, in the telephone traffic department of the GPO. One of his co-workers was Phylis Stewart of the Singing Stewarts gospel group. Hearing her use the term ‘Blue Beat’ – at that time a generic term for Jamaican popular music as well as a record label – he asked what it was. Seeking to swiftly remedy his ignorance she came into work the following day carrying a bag filled with seven inch singles. The night Tony Duffy came home with this treasure was a turning point in Nick’s musical education. Although we did not meet until we were adults who had long departed our home city of Birmingham, we found in our exploration of memories for the album that we shared many feelings, and many ways of seeing the world. For instance, as children and teenagers we were both perpetually looking for signs of the countryside and nature within the city. The delight of seeing grass growing through the cracks in paving stones, that kind of thing. The suburb of Hodge Hill is where Nick did most of his growing up. To get to there from Birmingham city centre, take the 56 bus and alight at the Fox & Goose. ‘Outskirts’ is a loose depiction – a sketch, if you will – of life in the neighbourhood during the 1970s. Exactly how many stops it was at that time has not yet been fully researched. This song is a hymn of love to the local chemist shop in Quinton, Angeline’s childhood home. Within the row of shops (a fragrant florist, a butcher, a pet shop, a newsagent, a post office that also sold toys and other fun things such as slime), the chemist was the shop that offered an excitement all its own. Angeline would stand, entranced, in front of the makeup for as long as she could, lost in a world of possibility. It wasn’t just the colours and sparkles that cast their spells upon her, but also the exotic and poetic names of the products. Wednesday was Early Closing Day. Nothing was ever open in the afternoon. Still, fruitless journeys seemed to be a common pastime for the youth of Birmingham. A trip to Elmdon Airport provided a more reliable and sutiably inexpensive day out. Meanwhile, somewhere in the distance, construction work was underway on the Gravelly Hill Interchange, more commonly known as Spaghetti Junction. Vast towers of concrete were rising up over the canal, replacing one industrial thoroughfare with another. When Angeline was 11 she contracted a horrific childhood illness, from which she was not expected to recover. Her parents were advised that she would not live. This song makes music out of some of the things she saw, heard, and experienced whilst unconscious. We were chatting about Elizabethan Reggae by Boris Gardner, listening to the track and thinking aloud about what might come after Elizabethan Reggae. We figured it might be this. The character in the song is a cool teenage girl that Angeline admired from afar and wanted to be like. She was like Clint Eastwood. She walked around insouciantly with her hand in the back pocket of her boyfriend’s jeans. Child Angeline would often follow, silently, and attempt to learn the secrets of how to be cool. Informed by two folk traditions – songs constructed as dialogues, and dances which involve switching partners – this is a conversation between a lost soul seeking a path through adolescence and a zen trickster who teaches by confounding expectation. It is also about the difficulty of finding the right shoes. together in the sunshine, holding hands. Angeline’s dad, a keen scientist and performer of home experiments, was eager for her to learn this basic fact. As soon as she realised the heat-attracting qualities of black, she made up a song about imaginary creatures in an imaginary movie, living an imaginary life in an underwater kingdom where glamorous white swimsuits are habitually worn to keep cool, since black attracts heat. This is a song from the heart of a dreamy child during an endless, hot summer. Mr Jones, teacher of Class One at Bromford Road junior school, took exception to the lack of colour in Nick’s drawings. Black, grey and brown were predominant. It seems unlikely that he thought this had any psychological significance, he was just peeved that Nick wasn’t producing artwork that fit the bright stereotype associated with his age group. For his part, Nick was simply following a realist line of reasoning. Someone asks you to draw a chair, what are you to do? It’s made of wood, it’s brown. Each song on this album is an equal collaboration, and they were all written in different ways. This one began as the fragment of a song dreamed by Nick. He brought this fragment to Angeline, explaining that in the dream, he had heard a lost song by The Carpenters in its entirety, and was charmed by the song. Upon awakening, only the chorus remained, and not all of that, hence the ‘do do do’s. Angeline added the verses, and The Lost Carpenter was born.